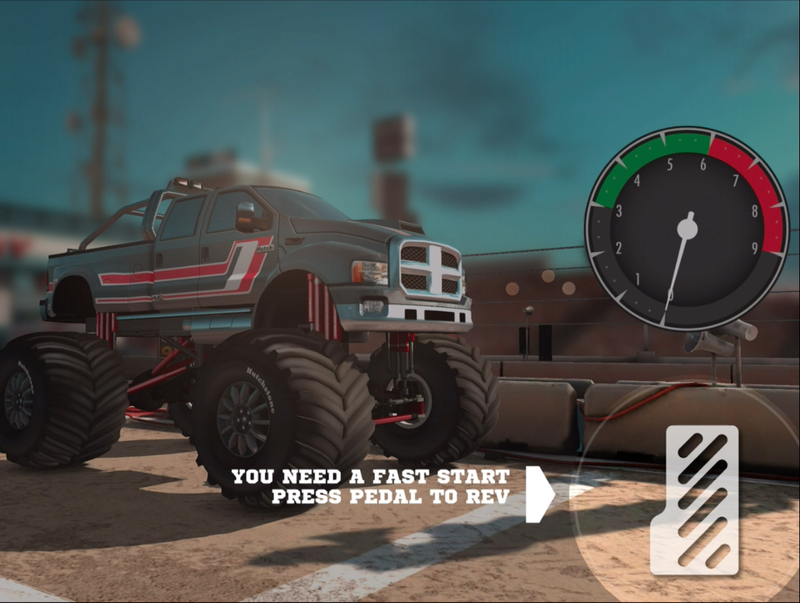 Your chance to create and race your own monster truck is finally here. 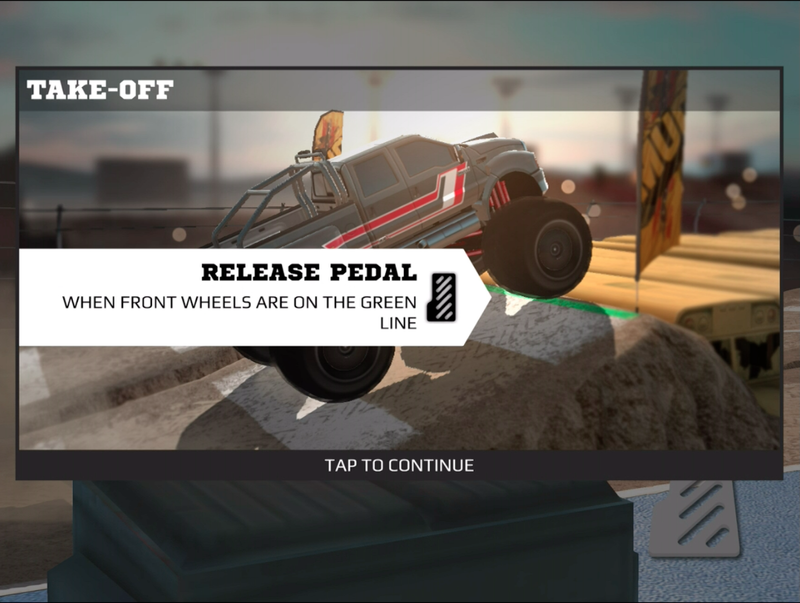 MMX Racing by Hutch Games is an adrenaline-filled monster truck game for the iOS platform. We played quite a few racing games for mobile devices, but few delivered the intense challenge of jumping and customizing your vehicle as well as this one. We're going to share some of our best tips and strategies for getting the most from the game. MMX Racing is unlike your typical racing game where you're rewarded just for crossing the finish line before your opponent. You'll get scored on how well you start the race, how well you time your jumps and land. You'll mostly use the pedal to control these factors within the game. You'll need a great start to get things off on the right foot. Press the pedal to get the needle in the green for the fastest start. You only need to keep the engine revved past the halfway mark to achieve this; time your acceleration in sync with the countdown of the start clock and release the pedal in the green. Each Truck has its own unique feel when revving on the start line. You're off to a good start and hopefully grabbed the lead by keeping your finger on the gas pedal. You're going to need the momentum to master the next obstacle, the take-off. 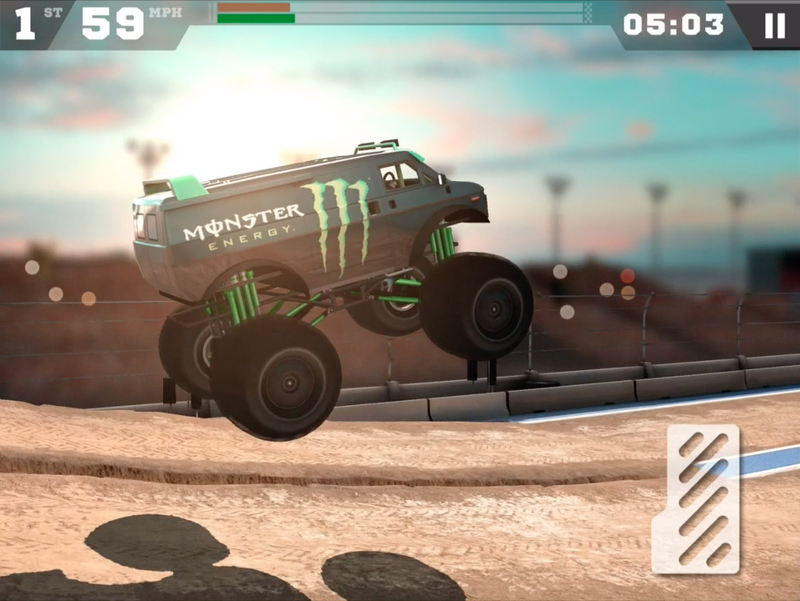 A monster truck racing game wouldn't be fun if you didn't have any jumps. In order to score big, you need to release the pedal when the front wheels reach the green line. You're in the air soaring past your opponent and having a blast. Your next challenge is to remain ahead of this vehicle by executing the perfect landing. This comes down to timing, as you need to press the pedal as soon as the wheels touch down. Hopefully you've been following our advice and you're ahead of your opponent. Now finish him off in a head-to-head race to the checkered line. Scoring big in these areas will land you achievements, cash and notoriety. The cash will come in handy to upgrade your truck for crowd bonuses and performance enhancements. 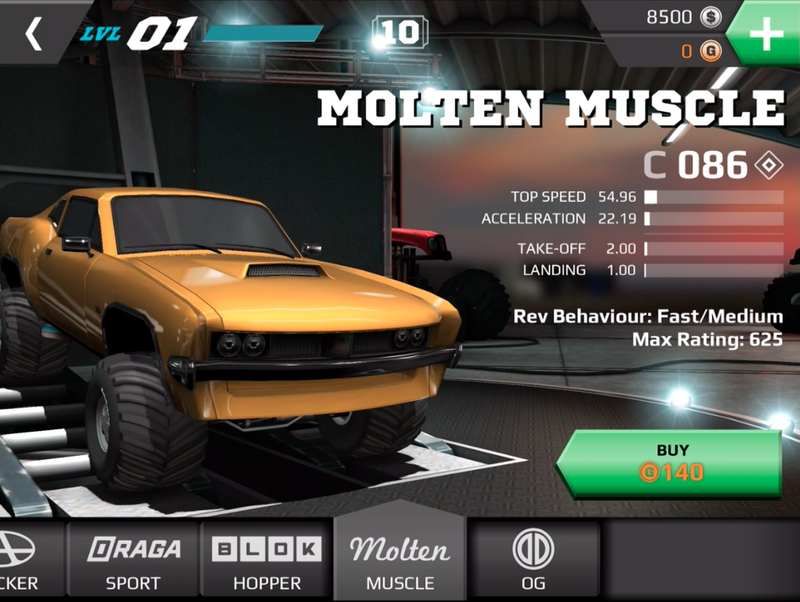 How do I pick the right vehicle in MMX Racing? Choosing the right vehicle in MMX Racing is a matter of preference and money. If you have the funds for a better truck, you should definitely go for it. If not, choose a truck within your budget that has some decent stats and roll with it. Trucks are categorized by Top Speed, Acceleration, Take-Off, Landing and Rev behavior. The higher the rating of each stat, the better the vehicle. If stats are too confusing, look at the Max Rating to determine the vehicle efficiency. 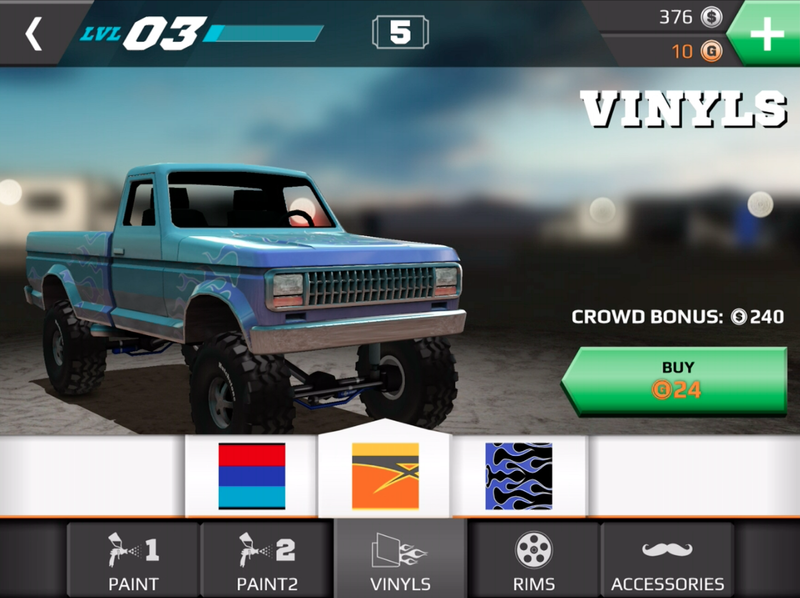 How do you customize your vehicle in MMX Racing? 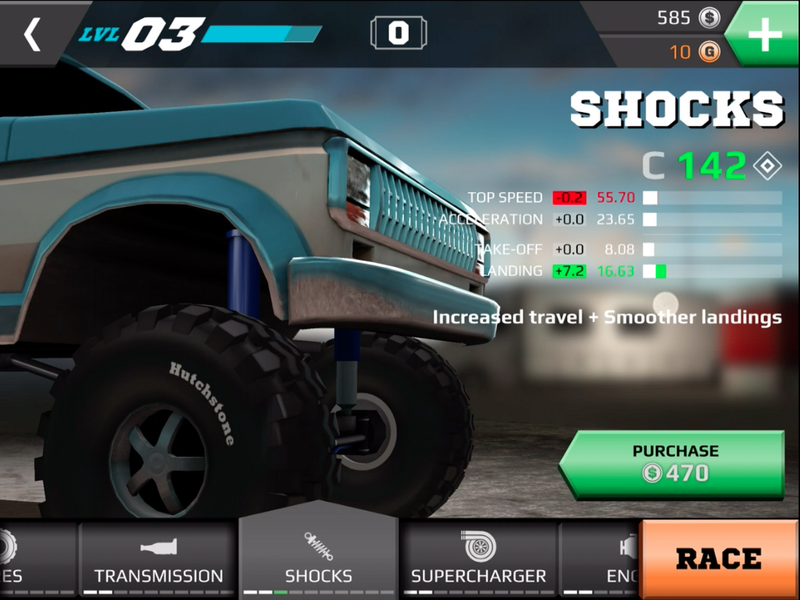 Customization is key, as each upgrade effects how well your vehicle performs in a race. 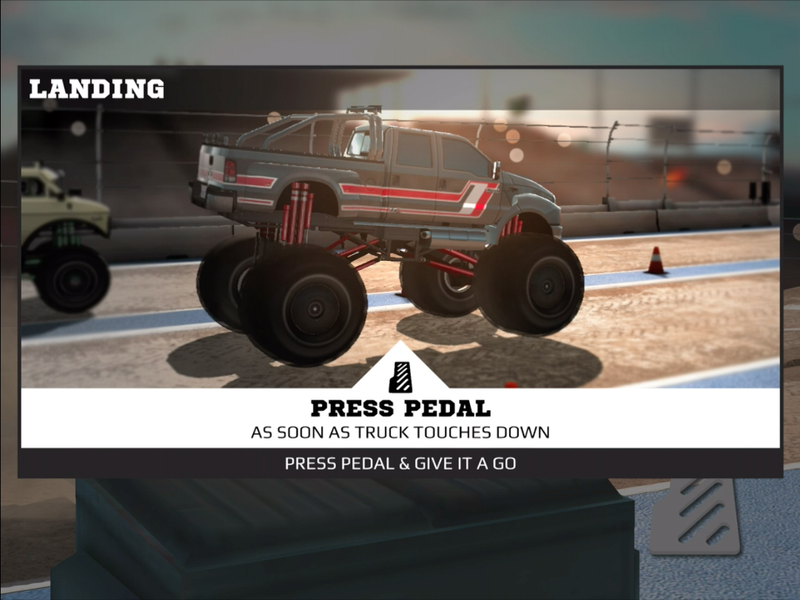 Start with picking a cool name for your monster truck; MMX Racing allows you to be creative. If you just want to get to started, hit randomize and let the game choose for you. Keep in mind you can't change the name of your truck after doing so. The crowd loves a truck that looks as good as it drives, so if you're interested in dazzling the crowd for additional dollars, you need to spend some cash on aesthetics. Upgrade the look of your vehicle with a custom paint job, rims, accessories or vinyls to grab the hearts of your fans. Connect with Leigh, your personal painter, to make these changes happen. Pleasing the crowd is all well and good, but looks don't win races. You need to upgrade your vehicle to beat the competition and advance to the next class of contenders. Vehicle upgrades range from the engine, chassis, tires, transmission, shocks and supercharger. All of these upgrades attribute to the top speed, acceleration, take-off and landing stats of your vehicle. If you're all about tricking out your ride, upgrade your vehicle to its fullest potential, but we suggest being modest and make improvements as needed. Save your money for that dream Monster Truck and invest in a vehicle that will keep up with the competition for the long haul. How do you earn money in MMX Racing? Race, and race well. You're judged on performance, so having a higher percentage in Starts, Jump and Landing, combined with a stellar racing time, will earn you loads of cash. If you're looking to gain a bonus, pimp out your ride with some visual customizations for the crowd. Can I play MMX Racing with friends? 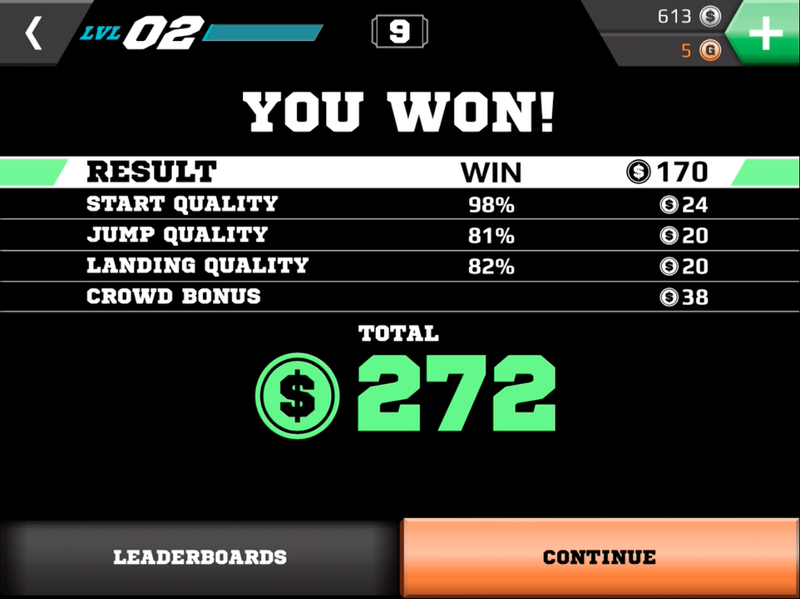 MMX Racing is a single player game, but you can send score challenges to friends on either Game Center or Facebook. Does MMX Racing cost anything to play? MMX Racing is free-to-play with micro-transactions. If you find yourself tired of the grind and want to upgrade your vehicle, shell out some cash for in game currency. Currency prices range from $9.99-$39.99, which gets you $65,000 to $285,000.